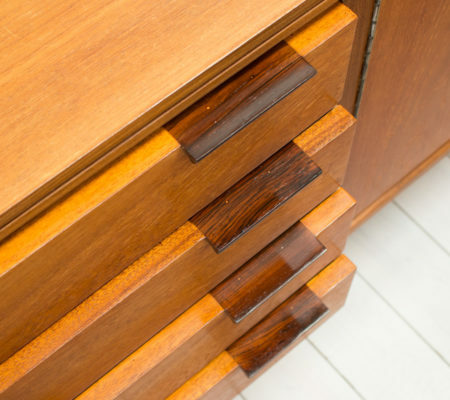 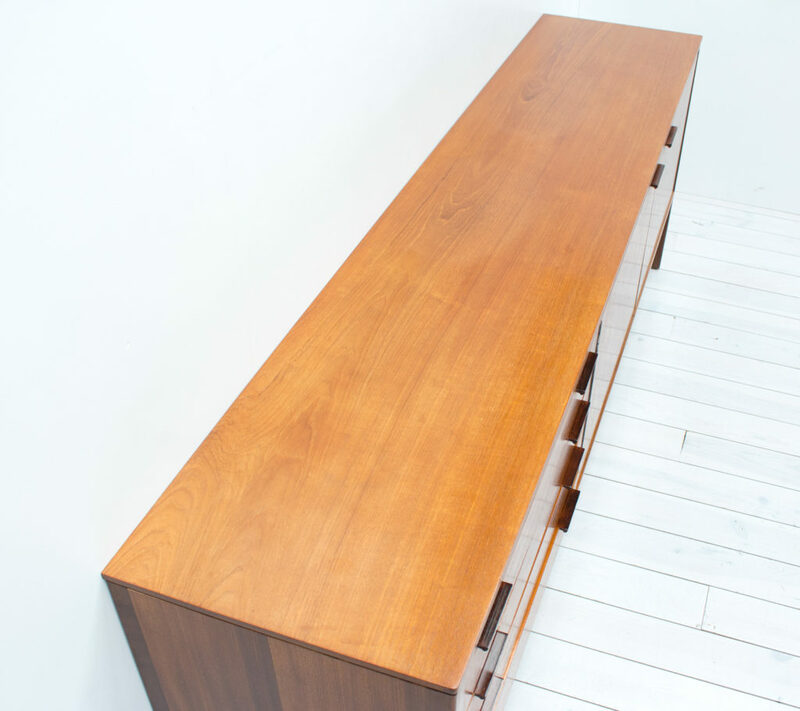 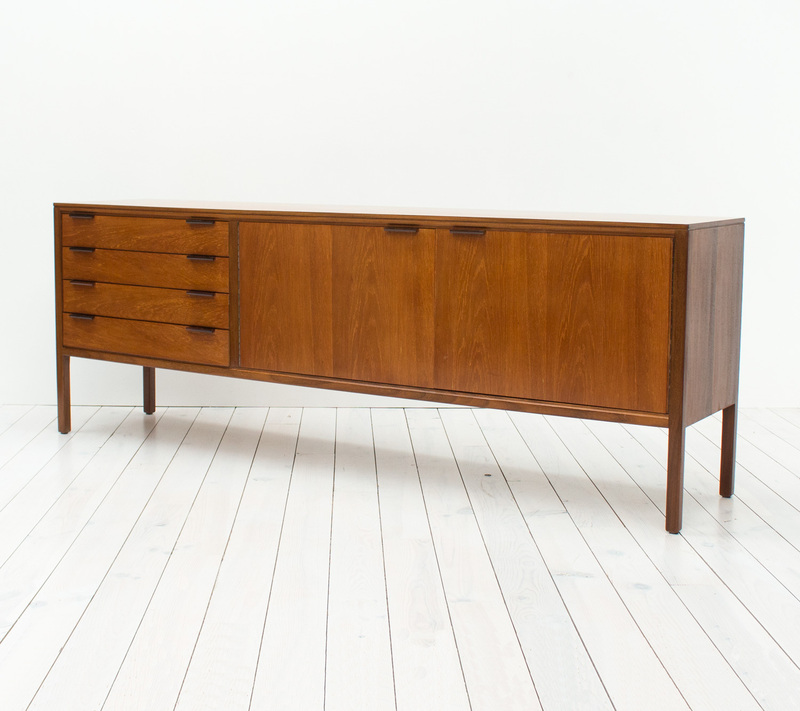 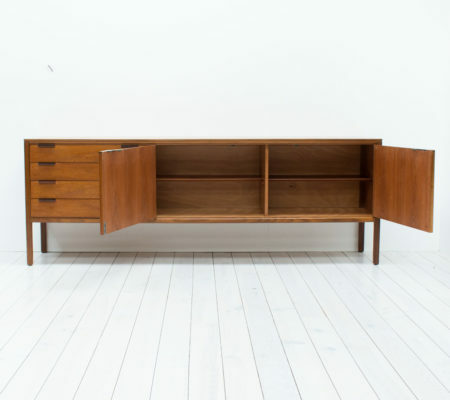 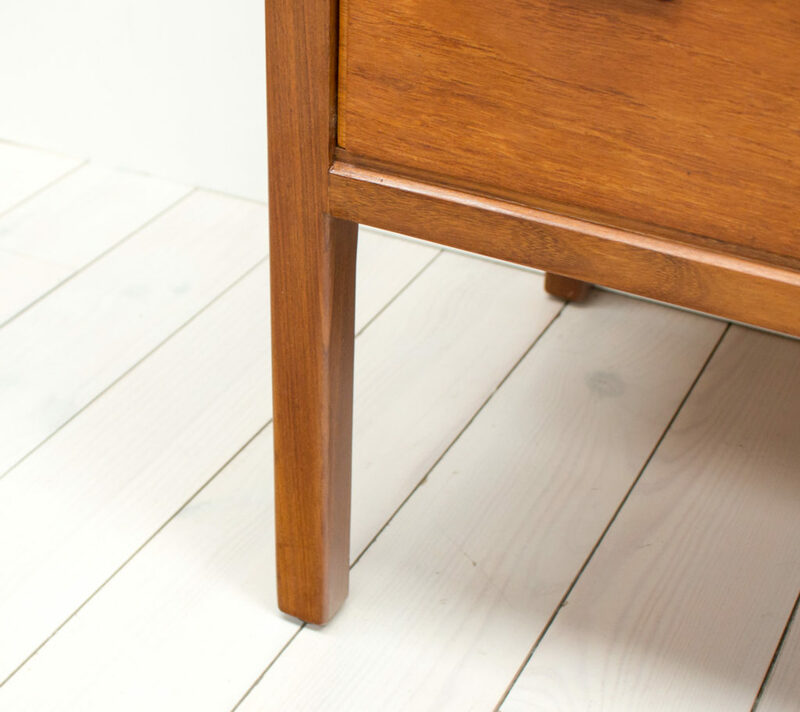 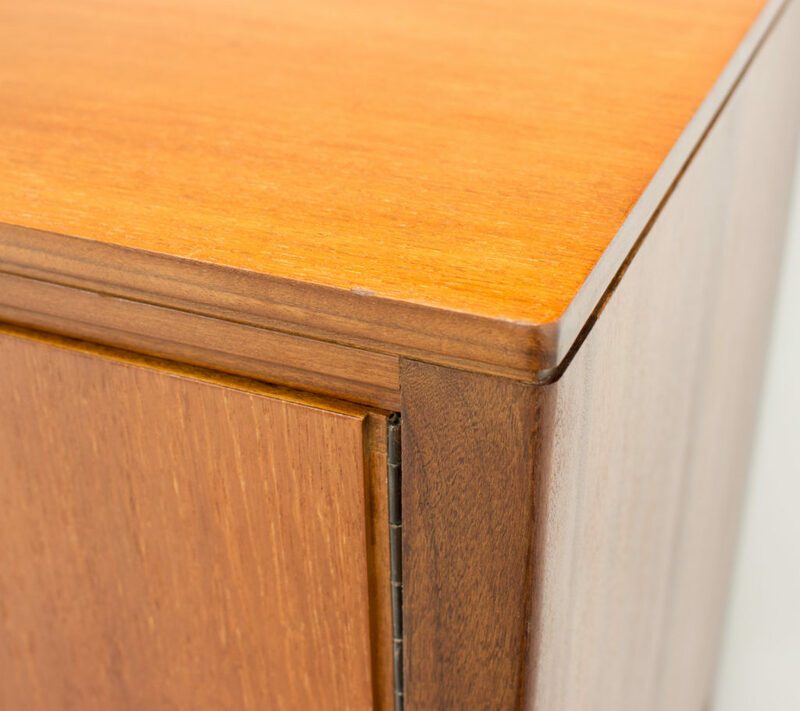 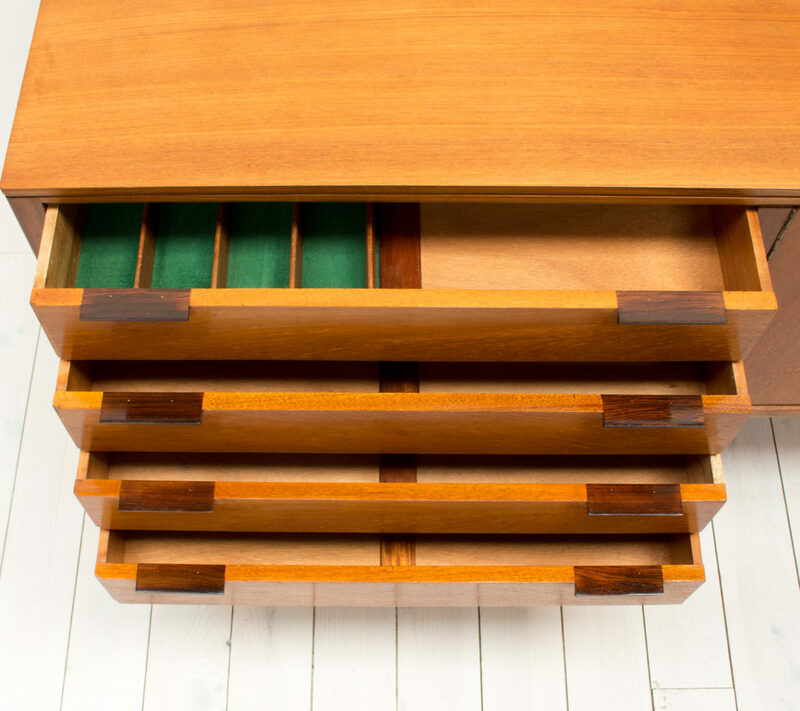 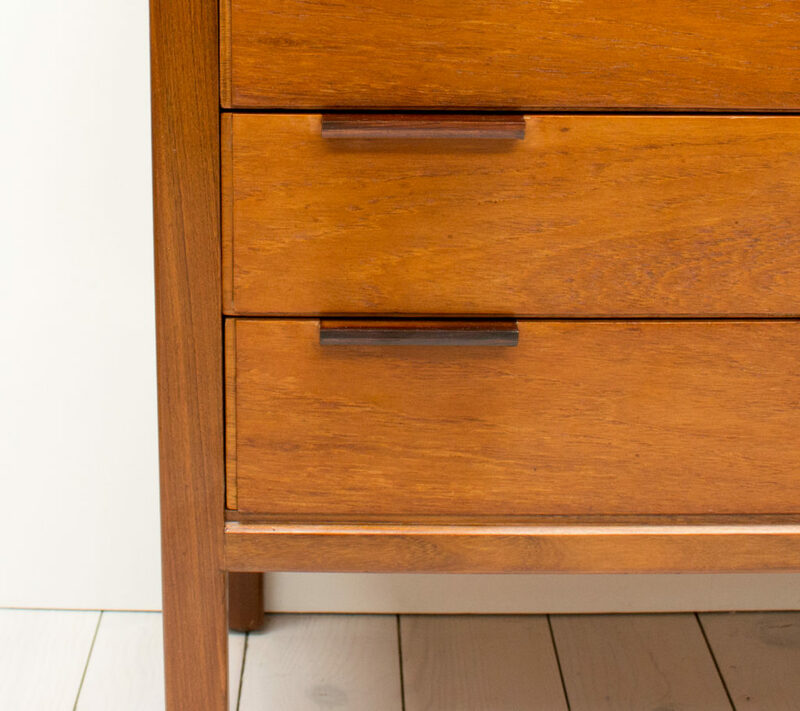 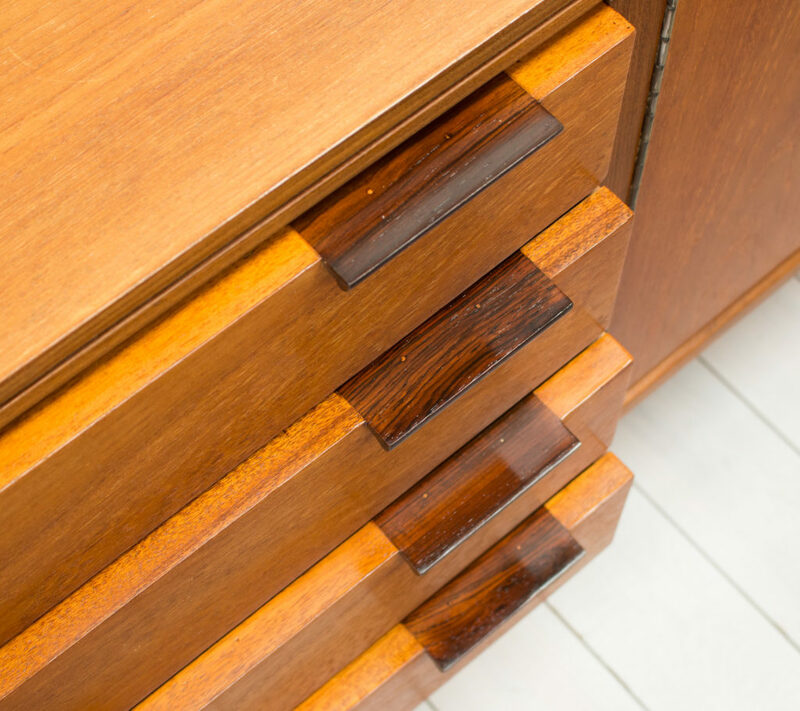 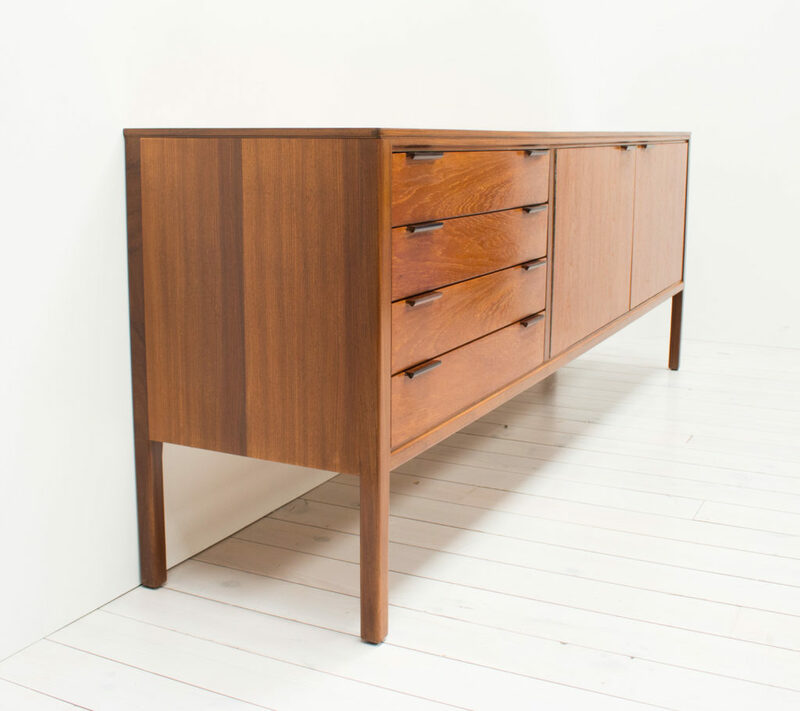 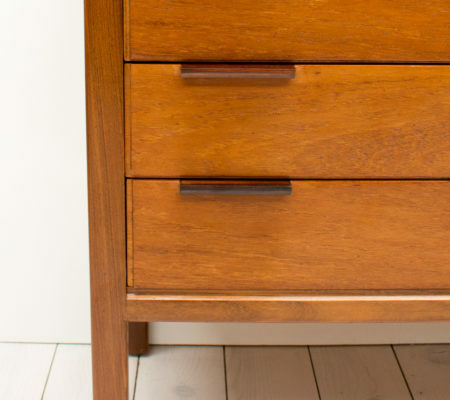 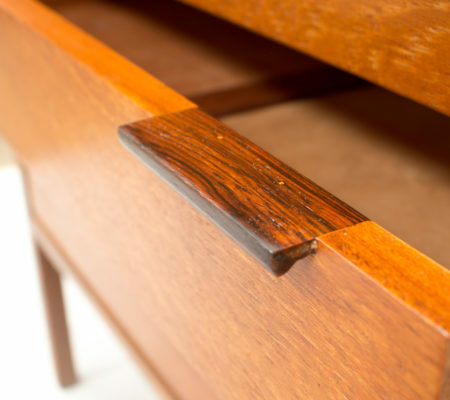 Superb 1960s teak sideboard with carved rosewood handles designed by Robert Heritage for Archie Shine. 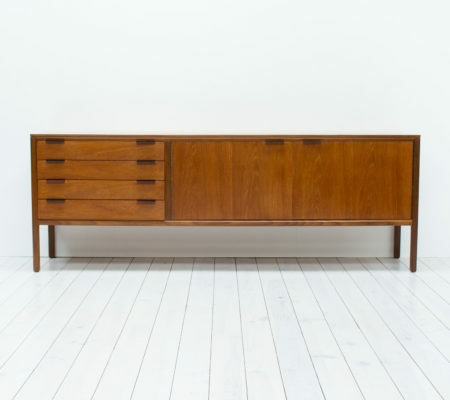 This long sideboard has four drawers, the top one with a cutlery section and a double cupboard with removable shelves. 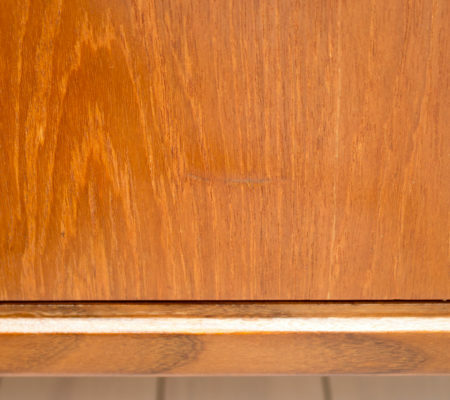 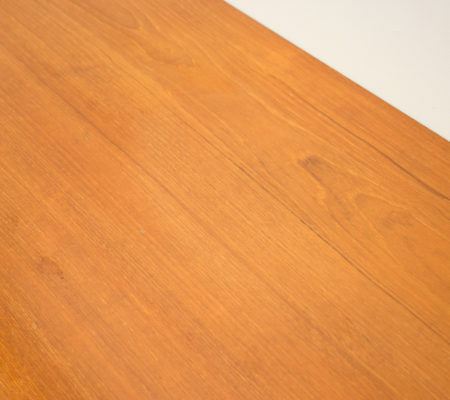 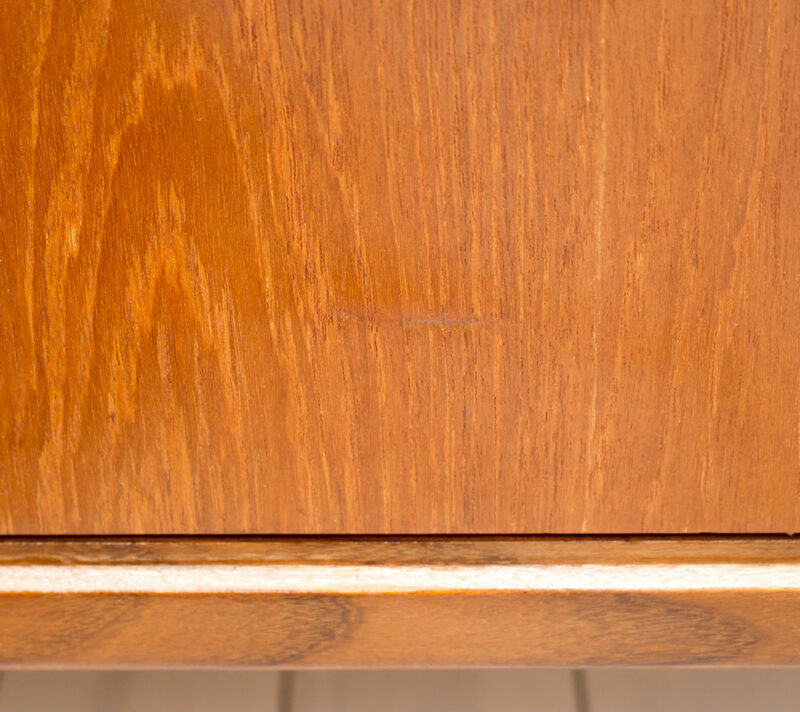 The item has been refinished and is generally in very good condition with the odd sign of wear and tear including some faint marks to the top.